How much stuff do you chuck away every day? It’s a question that all of us should probably ask ourselves more often. We’re so used to mindlessly throwing anything we don’t need in the bin that we don’t consider where that stuff goes. Well, most of us actually know already – it goes to the landfill. Unfortunately, we’ve sent a bit too much stuff to the landfill, and now we’re running out of space. It’s been suggested that the UK will run out of landfill space in less than 10 years. We might not have anywhere to dump our rubbish by 2024, which would be a disaster for the environment and our health. That’s why National Recycle Week – which is this week – is so important. The theme of this year’s National Recycle Week is ‘recycling at home and away’, which is something we’re keen on here at musicMagpie…well, the home bit at least. CDs, DVDs, Games, Electronics and Clothes – the kind of clutter every home has and the items you can sell to us – are a big part of the landfill problem. Every year, millions of these items are thrown away. Some end up in the landfill, where they sit for thousands of years (as they don’t biodegrade). Others end up being incinerated, releasing toxic gases into the atmosphere. There’s no ‘clean’ way to chuck your old stuff away. Luckily, we’ve provided a great way of recycling your unwanted stuff! And it’s not just your CDs and DVDs we help you recycle either: by sending all of your stuff in one box, it means we only have to send out one courier (who you get for FREE) and getting it to us is much more environmentally friendly. A lot of cardboard then! When you sell your stuff with musicMagpie, you can rest assured that you’re doing bit for your environment. And you get a bit of cash too! So if you’re planning on decluttering, make sure you do it responsibly and recycle everything you can. Get an instant price for your stuff using our valuation engine! 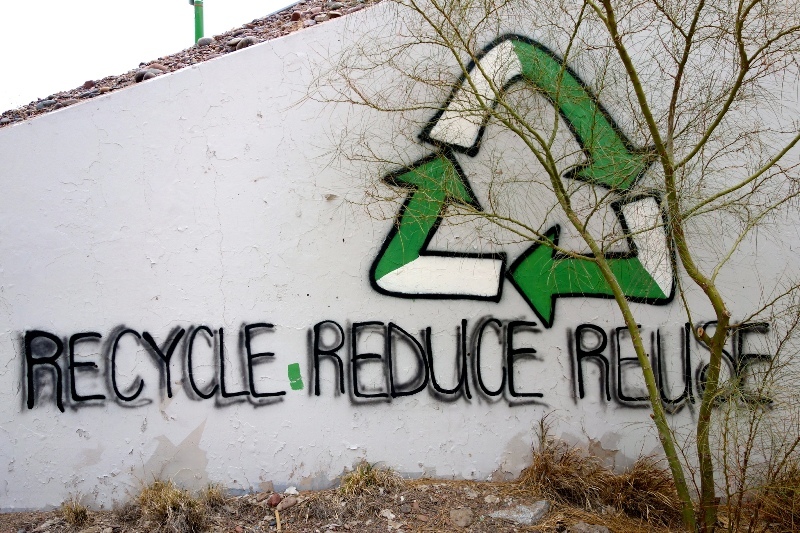 If you’ve got any top recycling tips, share them with us on Facebook, Twitter on in the comments!